Unfortunately, Obama and his cohorts don't care what anyone says, even someone as wise as Abraham Lincoln. Their hubris is beyond anything we've seen thus far and I fear for the future for my children and grandchildren. Those aren't actually your quotes. You know that. These 10 points have, in fact, been circulating since the 1940s, most likely as a response to FDR's tax policy. They were actually written by Presbyterian minister William J. H. Boetcker. I don't believe he had any real insight into your great wisdom whatsoever. While I am sure the owner of this blog knows that these are not your quotes, I do not wish for there to be any confusion on the part of others, lest they think it came from a credible source. All Best. Hope the head's feeling ok.
Actually Sam, Reverend William John Henry Boetcker lived from 1873-1962. So these points have been around a bit longer than since the 1940s. In truth, these points derive from Boetcker's 1916 pamphlet called The Ten Cannots. 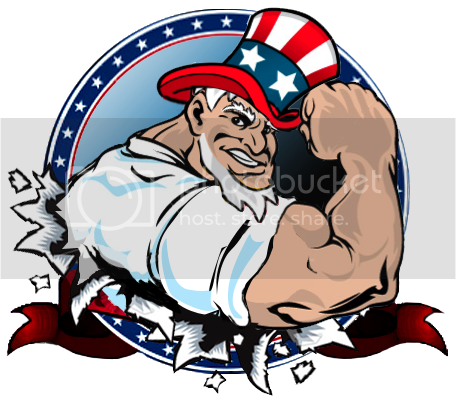 The 1940s document to which you are referring was a pamphlet called Lincoln on Limitations, released by the Committee for Constitutional Government in 1942. 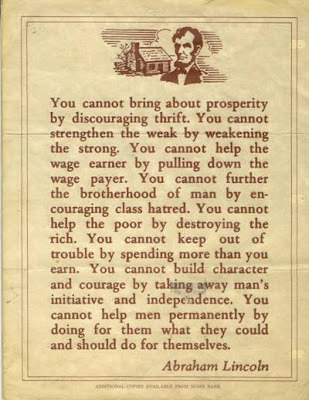 The reason these points are often attributed to Lincoln is because of this 1942 pamphlet, where Boetcker's 10 cannots were paired with a longer Lincoln quote which promoted the same ideals. Never saw the Ten Cannots. But I was referring to the document itself - and its pairing with Lincoln when I said it has been circulating since the 40s. That wasn't clear though - you know - underneath all my snarkiness. Sam, you just got owned. Hope it feels good.